Kansas football brings excitement and change as they debut Saturday, April 13 with Kansas Athletics hosting Late Night Under the Lights presented by Nissan at David Booth Kansas Memorial Stadium. New Jayhawk head coach Les Miles wants to bring the excitement and electricity of Late Night at the Phog to his KU football team! This year, it will be a day-long event and feature the 2019 Kansas football Spring Game at 6 p.m. to cap things off! Les Miles brings a championship pedigree with him to the Jayhawks and has already made major steps toward changing the culture surrounding the football team. This new annual event is the next step in that process! Admission for all of the day’s activities is free. 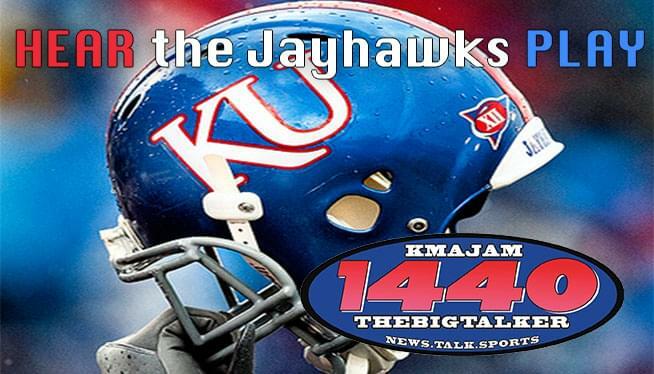 You’ll be able to listen to the full broadcast of the Kansas Spring Game beginning at 6:00 right here on 1440 KMAJ!